We are very pleased to announce our newest Associate Editor – Joel Voldman! Joel will be handling papers from 1 January 2017, so submit your best work to him! 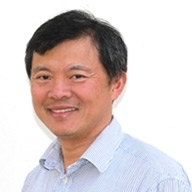 Lab on a Chip is delighted to announce Professor Abe Lee as its new Editor-in-Chief. Abraham (Abe) Lee is the William J. Link Professor and Chair of the Biomedical Engineering (BME) Department with an appointment also in Mechanical and Aerospace Engineering (MAE) at the University of California, Irvine in the USA. He also serves as the Director of the “Center for Advanced Design & Manufacturing of Integrated Microfluidics” (CADMIM), an NSF I/UCRC currently with more than 10 industrial members. Over his career, Abe has developed a series of lab-on-a-chip devices for biomedical and biotechnological applications. His current research focuses on the development of active integrated microfluidics and droplet microfluidic platforms for the following applications: point-of-care and molecular diagnostics, “smart” theranostic microparticles for early detection and treatment, sample preparation for cell sorting and enrichment, single cell processing and analysis, and organ-on-chip devices for drug screening. 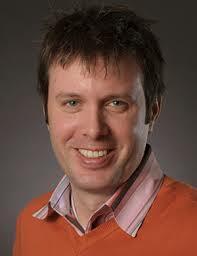 His research has also contributed to the founding of several start-up companies. Abe takes on the he role from Professor George Whitesides, our previous Editor-in-Chief to whom we are extremely grateful for his vision and leadership throughout a period of continued success for the journal. Abe was the first Lab on a Chip Associate Editor who started handling papers in 2011 and now we look forward to working with him as the Editor-in-Chief of the journal towards an even more dynamic and exciting future for Lab on a Chip! Abe adds “I am humbled and honoured to take on the role of Editor-in-Chief for Lab on a Chip. Now in its 16th year, Lab on a Chip is built on the pioneering visions of “giants of miniaturization”, most notably the founding Managing Editor Harp Minhas and Editor-in-Chief Andreas Manz, followed by George Whitesides’ leadership the last 5 years. The journal has soundly established itself as the leading journal for micro- and nano-scale science and technologies towards the ultimate goal of miniaturizing, accelerating and automating chemical and biological laboratory processes on a “chip-scale” platform. As I assume my new position and announce our new scope, I would like to take this opportunity to wish you a most fulfilling New Year in 2017. ” More details on the revised scope of Lab on a Chip are on the journal webpage. You are currently browsing the Lab on a Chip Blog blog archives for December, 2016.